Three Arizona State University faculty and Center for Biodiversity Outcomes affiliates will be leading events at the September 2016 International Union for Conservation of Nature (IUCN) World Conservation Congress in Hawaii. Their proposals were among those selected from a field of nearly 1,500 submitted for consideration after review by at least three independent technical reviewers. Leaders on the selected proposals are Penny Langhammer, adjunct professor in the School of Life Sciences and a faculty affiliate of the center; Beth Polidoro, assistant professor in the School of Mathematical and Natural Sciences and IUCN project lead for the center; and Candice Carr Kelman, assistant director of the School of Sustainability. Both Polidoro and Carr Kelman are also senior sustainability scientists in the Julie Ann Wrigley Global Institute of Sustainability. Langhammer submitted a proposal on behalf of several partners to host a four-hour Conservation Campus session on “Applying the new IUCN Standard to identify Key Biodiversity Areas," criteria for identifying sites of global biodiversity importance. During the session, participant working-groups will use real data and guidelines to engage in identifying sites that might qualify as key biodiversity areas (KBA), developing site boundaries and compiling KBA documentation for their sites. Feedback from session participants will inform further development of KBA user guidelines and training materials. Langhammer expects the session to result in a network of individuals motivated and better equipped to apply the KBA Standard in their own countries to further conservation goals. Polidoro will host a Knowledge Café event titled “IUCN and Academic Partnerships – Added Value and Collaborative Opportunities.” During this session, representatives from current IUCN-Academic partnerships will share examples and strategies of successful formal and informal IUCN-Academic initiatives and agreements. Among the topics presenters and participants will explore are characteristics and examples of win-win partnerships, barriers to achieving successful partnerships and potential future opportunities. Polidoro expects the session to result in guidelines on the role of IUCN-Academic partnerships in contributing to IUCN programs, policy, research and initiatives. Carr Kelman and other scholars associated with the Julie Ann Wrigley Global Institute of Sustainability will host a workshop at the World Conservation Conference on the topic of coordinating conservation and development objectives among multiple organizations using the Collective Impact framework. 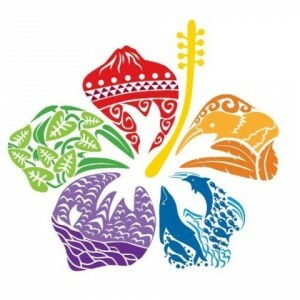 This workshop will be led in partnership with Conservation International in Hawaii and Kamehameha Schools, an organization focused on improving the capability and well-being of native Hawaiians through education. The Center for Biodiversity Outcomes represents a partnership between the Julie Ann Wrigley Global Institute of Sustainability and the School of Life Sciences. The center supports faculty affiliates in IUCN-related activities and plans to unveil a new partnership with the IUCN Red List during the World Conservation Conference meeting. An agenda for the Forum will be available in early 2016 on the congress website.